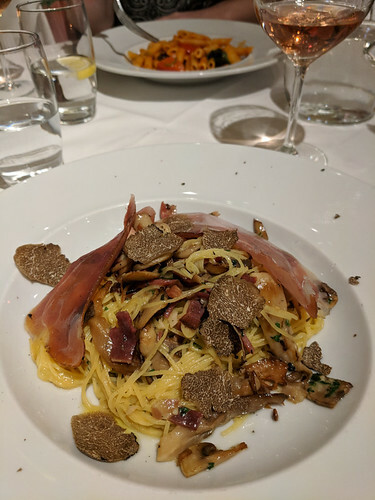 After my missed connection adventure it was nice to go out for some comfort food, so a trip back to Vicino for dinner was in order. We split the Sicilian Rosato special (a mix of sangiovese and indigenous grapes), Eric got the truffle pasta with mushrooms and I had the penne with buffalo mozzarella, basil and tomatoes after my beef carpaccio appetizer. We had our hotel call in advance to make sure we could get a table, and while the restaurant was full the service was still on-time and friendly. Excellent again, I’m sure we’ll be back! truffle pasta @ Vicino; just a quick sip of Eric’s fancy cocktail! After dinner we walked by Kona Kai but it was closed for a private party so we headed back to South Kensington and Apero, in the basement of our hotel. 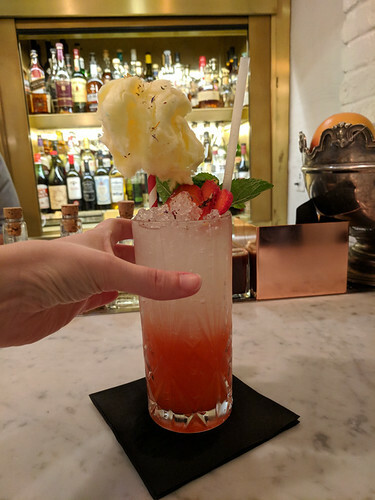 We found stools in front of the bar and Eric selected the ‘Snowy Peak’ (vodka, Briottet Lychee, strawberry purée, lychee juice, lemon juice, rose sugar, garnished with cotton candy) – so good! Not feeling like a cocktail, I opted for a glass of Montepulciano d ’Abruzzo. We spent most of the day at the Harry Potter show! Lunch with my aunt Kim & Jules at Daquise Restaurant. Arrived at noon sharp and were the only guests for a while. Service was polite and unobtrusive. I ordered wild game pate as my appetizer and a main of mixed cheese + onion / veal and pork pierogies. The cranberries that came with the pate were fantastic but the pate itself was a bit dry. 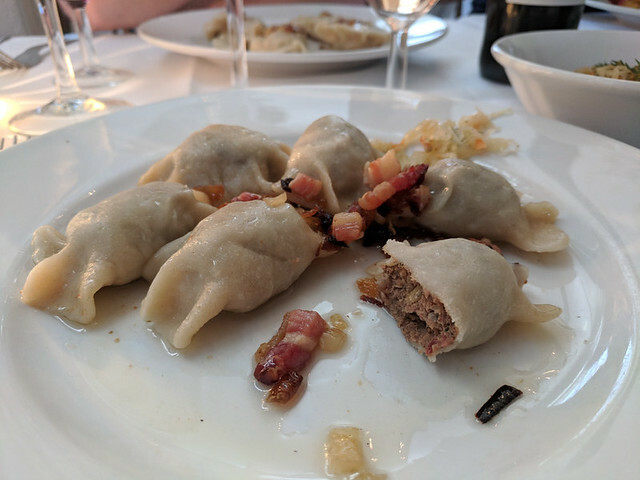 Eric ordered the wild boar pierogies with sauerkraut and they were delicious! 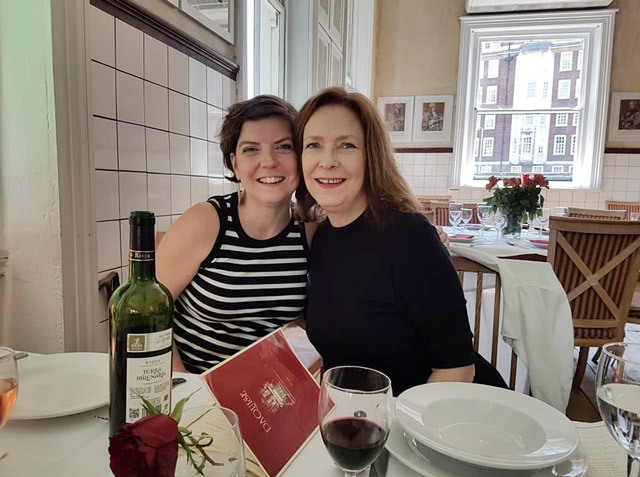 Kim and I split a bottle of the house red (tempranillo) and it was a great deal at £18. London: food + drink in Berkshire Co.